When you’re facing bankruptcy, a criminal charge, a divorce, or a child custody dispute, your attorney needs to do more than represent you. We understand just how serious this matter is to you, and we take a collaborative approach to help you succeed. The best way to understand our process is to listen to what our clients have to say. They tell us that we give them confidence and help them feel secure. We’ve even had clients stop by our office from out of town to introduce us to their family members! A true example of hard work and leadership, founder John Schmidt put himself through college and graduate school. John started his career as a special education teacher, prosecutor, turn-around executive, and attorney before starting his private practice. Today, John uses his passion and expertise to help the people of Kentucky get the justice they deserve. We’re known for collecting the win. Our experience proves we have the skills you need to get the results you want. We’ve worked several cases like yours. 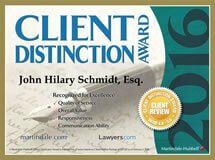 We also recognize that your case is unique to you and will give it the personal attention it needs. Our previous clients will tell you just how special our team is and we look forward to giving you the same treatment. I highly recommend John! I have worked in the legal field for 3 years and when I needed someone to handle my own family court case, he was my first call. Very impressed and very satisfied! The voice of reason! I am so thankful we found John. He is kind, compassionate and down to earth. He loves children, and it shows. I’ve never met an attorney like him. He’s my go-to-guy for all future legal matters! We went in for a free consultation and John was very informative and didn't just tell us what we wanted to hear to get our money. I would definitely recommend him to anyone! It doesn't get much better than John. Obstinant is really not the word when you are right. Not only in family court, but an accompanying "messy" criminal domestic case, too. Thank you, Mr. Schmidt. That tree chopping Tesla is something you deserve! John was amazing and continues to do great work every time I speak to him. He was available to me daytime, nighttime and weekends to help me with my case. He helped me out tremendously and treated me very well! Thank you John! 5 stars for sure. Very intelligent trustworthy and honest guy. Very easy to work with and listens to everything and gives you honest and truthful feedback. Can't wait to continue to work with him! 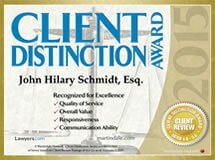 At the Law Offices of John Schmidt & Associates, one of our main concerns is making sure you feel cared for. We do this by giving personal attention to every single case. This is about more than winning. For us, it’s about taking care of your inner person. From our staff to our attorneys, we desire to help you work through your situation in a healthy, constructive manner. Our team agrees that our firm must place a high priority on your satisfaction. 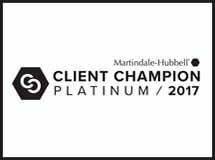 We achieve this goal by giving each client one-of-a-kind service unmatched by any other firm. Our love for what we do creates a unity and bond that can’t be broken. In working with us, you’ll find this energy to be contagious. Allow us to deliver the results you need. Shepherdsville is home base for us. You’ll find us on S Buckman Street, just a few blocks south of KY-44, next to Bullitt County History Museum, and across the street from businesses like Fran’s Florist, Keith’s Barber Shop, and Liberty Tax Service. With more than 600,000 people living within city limits, it’s no wonder that many of our cases come from families and individuals who live in Louisville. After all, we’re just a 30-minute drive away. Simply hop on I-65 S to exit 116. Whether you live in Jeffersontown city limits or you’re from a nearby community like Hopewell, Seatonville, Ashville, Spring Mill, West Buechel, Hurstbourne, or Middletown, we’re here to help with your family law, bankruptcy, and criminal defense needs. We’re just a 20-minute drive west of Mount Washington, so don’t hesitate to contact us if you’re in need of legal help. We’re a straight shot down KY-44 W for 10 miles, and then you’ll turn left onto Joe B. Hall Avenue and right onto S Buckman Street. Live in Radcliff? We’d love to help you! You can find our office after a short drive down KY-313 S and I-65 N. We’re also happy to assist individuals coming from nearby Fort Knox, Vine Grove, Flaherty, Muldraugh, Lickskillet, and Rineyville.